LUDATEC sp. z o.o. sp. 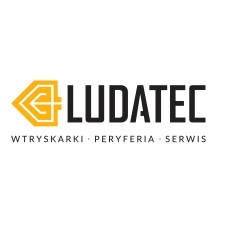 k.
The Ludatec company deals in the sale of parts and peripheral devices of leading manufacturers, which we represent on the Polish market as sole representatives. We offer full assistance in the selection of equipment and in matters of assembly, service and repair. The scope and characteristics of the activities performed by our team are each time adapted to the project ordered by the client. Flexibility is one of the strongest attributes of Ludatec and thanks to that we always find the best solutions and offer employees ideally suited to the position or the workplace. • relocation of machines and entire plants: injection molding, extrusion line, powder paint shops, tool rooms, other devices and installations. The entire task includes the stages of: planning, disassembly, protection, forwarding, assembly, making the necessary measurements, official acceptance, commissioning and commissioning.